I hope that you’ve enjoyed a good week and weekend, I’m happy to be back after a little blogging break. I’ve been busy filling orders over at my Etsy shop and, well, we ate a lot of quick meals and frozen pizza last week! I also try to take advantage of any daylight that I can get when taking food photos, so meals that come together after 6 o’clock often don’t make the cut. 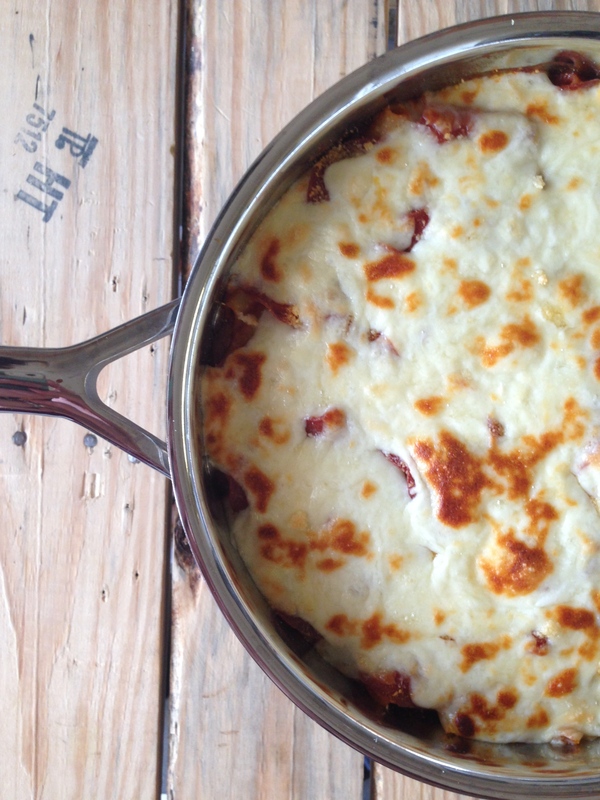 When I was growing up, my mom would make baked spaghetti with pepperoni and mozzarella. 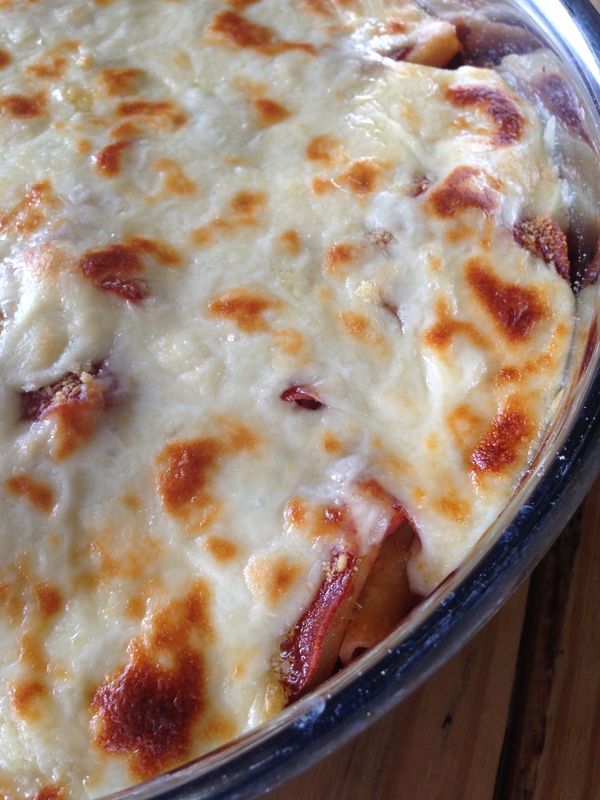 It was always a family favorite and this baked pizza pasta is my version. 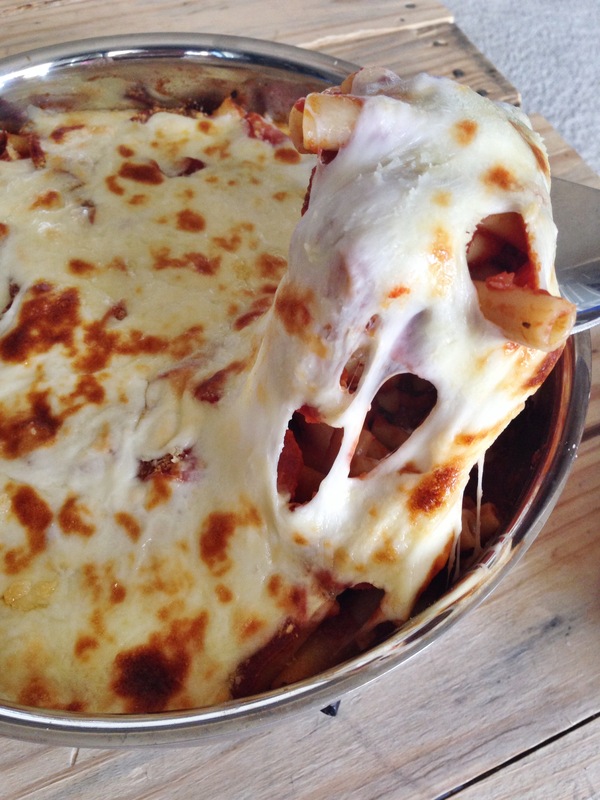 What’s not to like about pasta that is topped like a pizza??? Like a lot of my recipes, this one can be easily altered to include the flavors that you like… think about pizza toppings, there are so many possibilities. Okay, just one more picture for now… look at all of that cheesy goodness! Preheat oven to 350F. Boil pasta until soft. Pour sauce and drained pasta into a skillet, stir until pasta is coated with sauce. 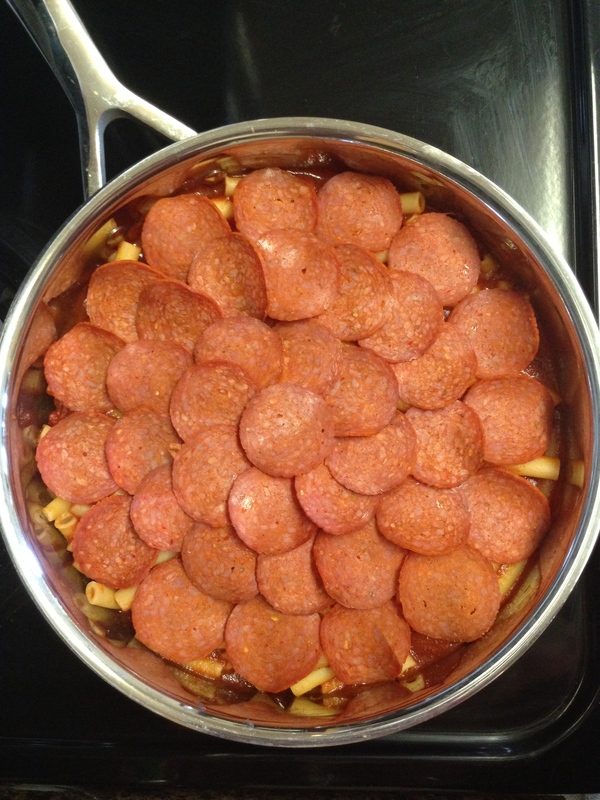 Layer pepperoni over pasta, then top with cheese. You could place pepperoni over the cheese but I find that pepperoni (especially turkey pepperoni) tends to dry out if left uncovered. 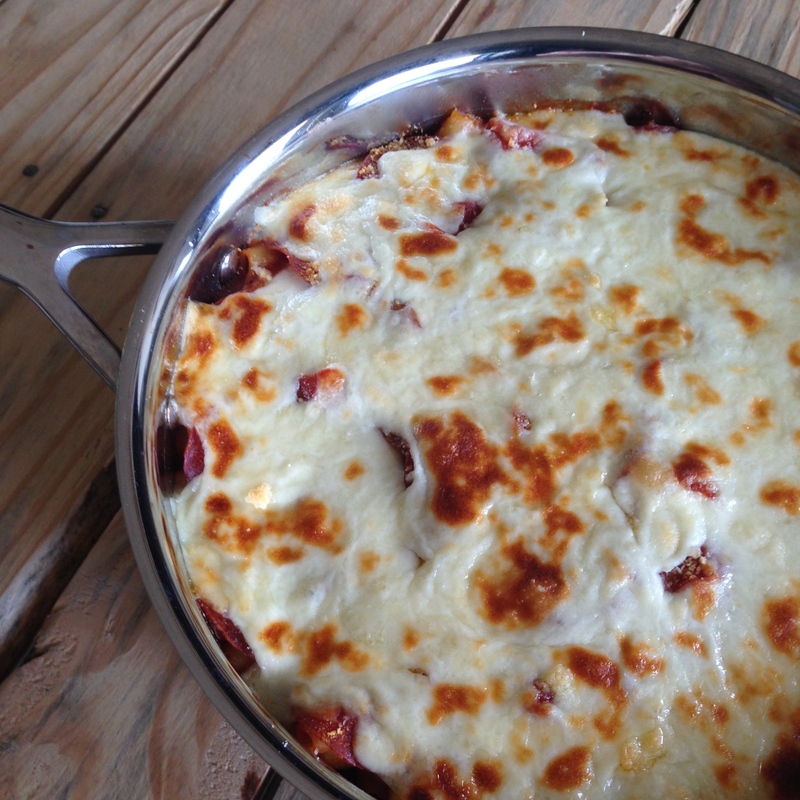 Bake for 25 minutes, just until sauce is hot and bubbly and cheese has melted. 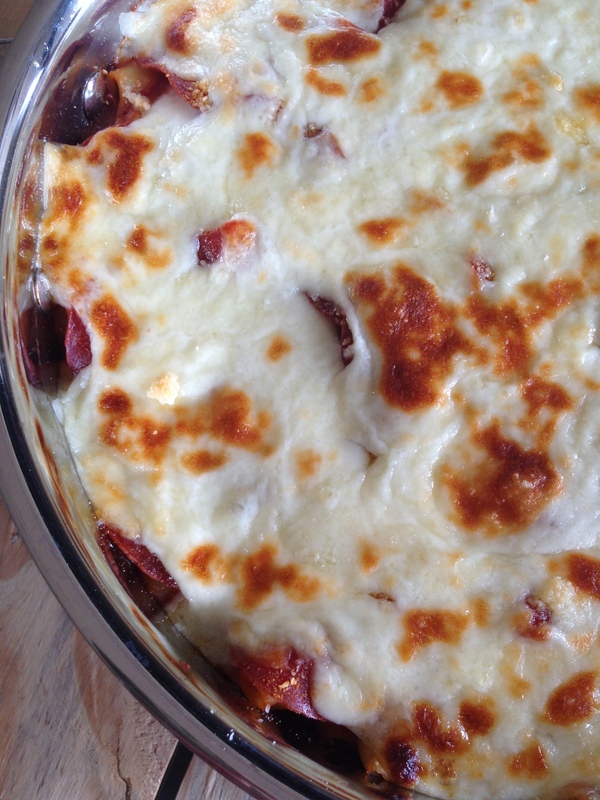 If you’d like, turn on broiler to lightly brown the cheese. Serve right away! Oh wow, that must be a challenge. This dish can definitely be altered to include whatever you can find! This sounds like something my family would absolutely love! I will have to give this one a try!